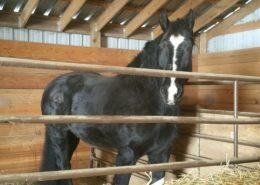 Haven Acres is a faith-based youth mentorship ranch that pairs rescued or adopted horses with at-risk youth in the Twin Cities Metro Area. 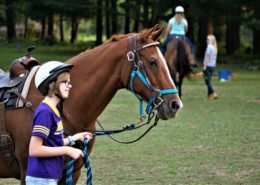 Established in 2013, the design pairs one child, ages 9-17, with a mentor and a horse that work together, free of charge, each week for a 90-minute session during the summer. The kids help with chores around the farm and learn basic horsemanship, all the while building trust, confidence, and a good work ethic. Since most of the horses have been neglected or cast off for some reason, a mutually beneficial relationship develops between the horse and the child. 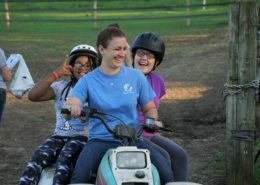 Guided by a supportive mentor, opportunities arise for both the horses and kids to experience God’s transformational love which ultimately leads them through the process of healing and restoration. Special programming is available for Deaf and Hard of Hearing children. Deaf mentors and ASL interpreters are available for these sessions. For more information, please see Programs and Registration. 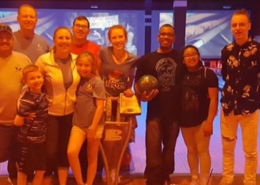 http://havenacresmn.org/wp-content/uploads/2019/04/Bowling-for-Bucks.png 259 499 Holly Graffunder http://havenacresmn.org/wp-content/uploads/2017/12/WEBSITELOGO-300x138.png Holly Graffunder2019-04-11 08:45:312019-04-11 08:45:31WANTED: Bowlers! Four More Days Left to Register! http://havenacresmn.org/wp-content/uploads/2019/02/2017-08-27-19.38.10.jpg 2304 3456 Holly Graffunder http://havenacresmn.org/wp-content/uploads/2017/12/WEBSITELOGO-300x138.png Holly Graffunder2019-03-28 09:51:402019-03-28 09:51:41Four More Days Left to Register! http://havenacresmn.org/wp-content/uploads/2019/04/Max.jpg 1121 1992 Holly Graffunder http://havenacresmn.org/wp-content/uploads/2017/12/WEBSITELOGO-300x138.png Holly Graffunder2019-03-08 08:28:412019-04-11 08:37:40New Additions!! http://havenacresmn.org/wp-content/uploads/2018/06/2017-09-01-19.19.23-1.jpg 2128 3192 Holly Graffunder http://havenacresmn.org/wp-content/uploads/2017/12/WEBSITELOGO-300x138.png Holly Graffunder2019-03-05 08:19:522019-04-11 08:28:05Winter Fundraiser Results!